Shimla: To fight corruption, the Himachal Pradesh government has tabled a stronger Lokayukta bill in the Vidhan Sabha here today. 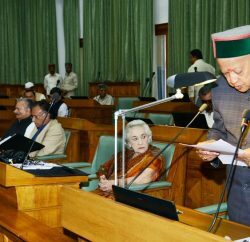 Himachal Pradesh Chief Minister Virbhadra Singh presented the bill Himachal Pradesh Lokayukta Act, 2014 by repeating the existing Himachal Pradesh Lokayukta Act, 1983. 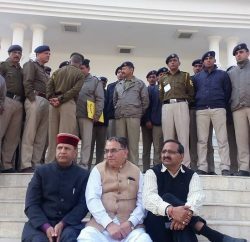 The improved bill will provide for establishment of independent and autonomous Himachal Lokayukta on the analogy of the Lokpal and Lokayukta Act, 2013 enacted by the Central Government to address and take remedial action to contain corruption. 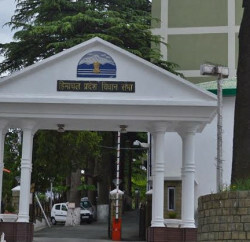 The Himachal Pradesh Lokayukta Act, 2014 seeks to establish in the state, a more effective mechanism to receive complaints relating to allegations of corruption against public functionaries including Chief Minister, Ministers, members of Legislative Assembly and public servants and to inquire the allegations against them and take fellow up action. The state Govt believes that this bill will strengthen the existing legal and institutional mechanism. A five-member committee comprises Chief Minister, Vidhan Sabha Speaker, Leader of opposition, Chief Justice and eminent jurist would appoint the Lokayukta. The governor would be responsible for the appointment of the eminent jurist on the recommendation of the selection panel. An eminent jurist Supreme Court Judge or Chief Justice of High Court would be appointed as a Lokayukta.